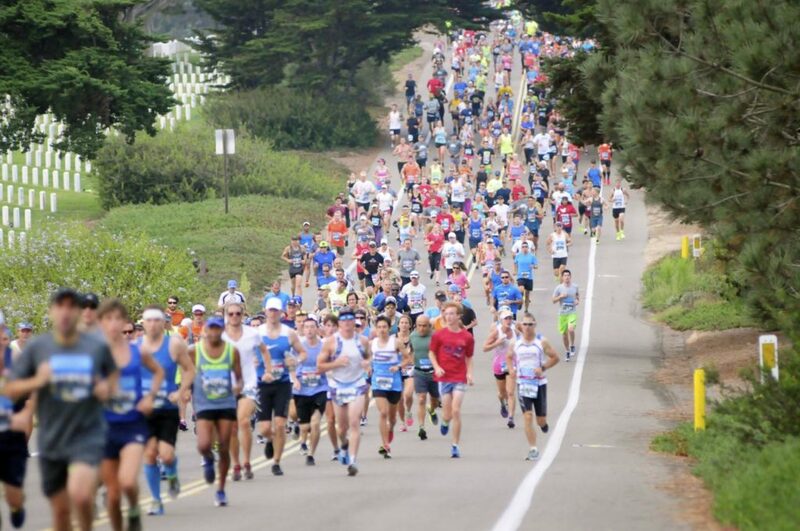 Committing to run a half marathon can be a bit intimidating, especially if it’s your first 13.1! While the training can be strenuous and time consuming, we promise you, the effort is well worth the reward! Both the race experience and the feeling of crossing the finish line are moments you’ll treasure and be proud of for the rest of your life. 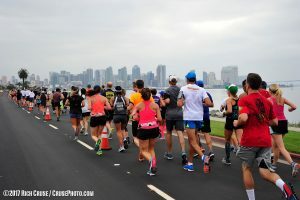 The America’s Finest City (AFC) Half Marathon is such a fun race as it offers a unique opportunity to explore San Diego on foot and journey past 13.1 miles of beautiful sights and landmarks including the Cabrillo National Monument, San Diego Bay, Fort Rosecrans National Cemetery, San Diego Embarcadero, Star of India, downtown San Diego and Balboa Park. That’s what we call a scenic tour! 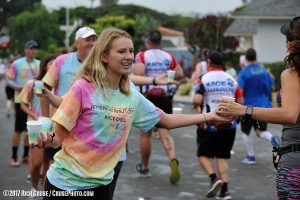 Now that you’ve added the AFC Half to your bucket list, what sort of training does it require? We’ve gone straight to the source, and asked some of our finest finishers of years past for their training advice. TRAIN IN THE HEAT & HYDRATE, HYDRATE, HYDRATE! The AFC Half is known to be a warm race as it takes place in August. It is extremely important to listen to your body and not push yourself too hard. Know your limits! Training in warm weather will help your body adapt to higher temperatures and take away some of the shock if it’s a warm race day. Do your best to avoid the worst of the heat, but sometimes it pays to embrace it. As always, use common sense and hydrate appropriately — you’re trying to acclimate, not run yourself into the ground. Along with staying alert to how you’re feeling, hydration and proper nutrition is absolutely essential when running in the heat. Carry water with you on your training runs and learn what electrolyte replacement is best for you. The key to maintaining performance in hot conditions is sufficiently replacing the fluids and electrolytes you lose while you’re running. On race day, water stations will be available every mile starting at mile 2. Cherry Pomegranate Ultima Replenisher will also be served at miles 4, 5, 8, 11 and 12. 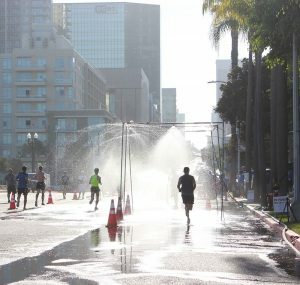 Mile 10 water station is EXTRA cooling! 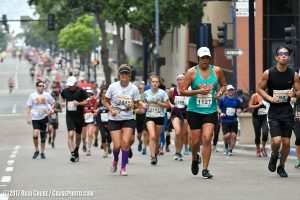 “Go slow in the first 11 miles, give it all in the last 2.1.” – Elvira V.
“Watch your pace in the early miles [and] be aware of the uphill grade as you near Balboa Park. Once you enter the Prado, the finish line is in sight and then it’s only a sprint to the finish!” – Rebecca M.
“Include a long, steady hill at the end of your long runs. At least twice before the race.” – Vidal A.
It’s no secret that there is a steady incline that greets you just after mile 11. But being aware of it and not scared of it is the first step in getting you up and over the hill. Including hills in your training will prepare you mentally and physically to tackle the challenge and keep persevering. 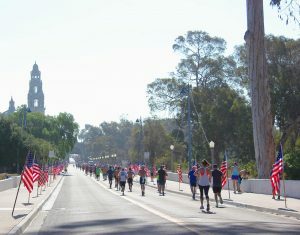 When you get to the top, you’ll catch your breath, grab some water at mile 12 and cross the Cabrillo Bridge to enter Balboa Park. From there, the adrenaline and excitement of finishing will carry you to the finish line! “Get plenty of sleep!” – Gerardo S.
Did you know your most important night of sleep is actually two nights before race day (Friday night)? While getting rest on Saturday night is key, a poor night of sleep won’t break you on race day. Even elite athletes admit to nerves keeping them up the night before the race. Just make sure that Friday night is reserved for a quality and sound night of z’s. Signing up early for an In Motion race will always save you significant moolah – especially during the specials that are offered when registration first opens (usually 2-6 weeks after the previous year’s race day). Training is obviously the most important part after that, but what final step will get you to the finish line? Showing up! This means knowing the where and when, and for the AFC Half, this is of utmost importance! Without exception, you must take a shuttle to get to the start line and the last shuttle leaves at 5:30 a.m. After that, your only option will be to hop in the 5K race that starts at 6:15 a.m. Sure you’ll crush it, but we don’t want all that hard training to go to waste. RUN WITH YOUR HEART & HAVE FUN! 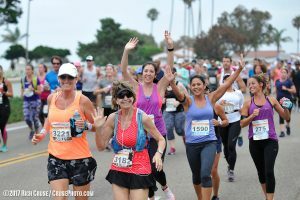 “Run with all of your heart – it’s a fun one, challenging one, but mostly, a rewarding one!” – Kelli P.
“Have fun no matter what!” – C Jean L.
Running is such a mental sport that this advice is so important for a successful race day, yet very easily forgotten. Running hurts – it’s true. 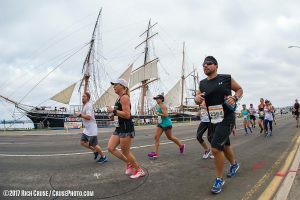 But the experience of running 13.1 miles with thousands of other people through a city chalk full of things to see and passed neighborhoods with spectators and supportive volunteers cheering you along, makes running a half marathon, well, fun! Embrace the course and everything you will see along the way. High-five the people clapping on the sidelines and enjoy the solidarity of running with those around you, knowing you are not alone and everyone is working towards a common goal of crossing the finish line. It truly is a unique experience you’ll never forget! 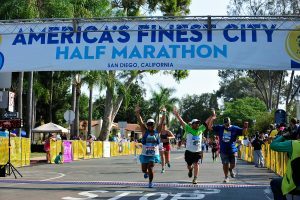 See you for the 2018 AFC Half Marathon on Sunday, August 19!